← On apology: Do you lose your dignity when you apologize? For those reading this site interested in christian counseling and more specifically, biblical counseling, I have a quote below for you to muse about. I’d like to hear your reactions to the author. Is he right? If not, what is wrong with his critique of the biblical counseling movement or wrong with his insistence on producing evidence of the effectiveness of biblical counseling? 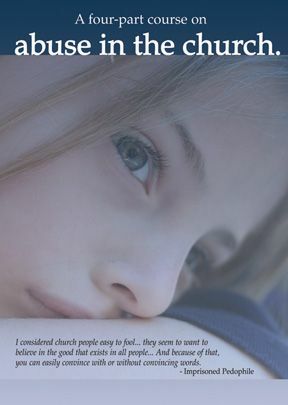 The quote comes from the website www.christiancounseling.com (The Association of Biblical Counselors) which publishes an ejournal for paying subscribers. On occasion they publish interviews with those outside (but friendly with) biblical counseling. Some of their interviewees, like myself (November issue) have a foot in their world but also one in the professional world. FYI, there are more and more of us who reject the necessity of separating clinical care from biblical care but do not believe the integrative attempts of the past were all that useful either. In September they interviewed a Dr. Stephen Farra, professor at Columbia International University and director of their psychology or counseling program. You can find him and his writings at www.ciu.edu/faculty/bio.php?id=12. He has one work there on his model of counseling called Accountability Psychology, a biblically based CBT model. …the biblical counseling movement has been better at critique than positive creation, however. Whenever I seek for an answer as to whether Biblical Counseling has developed clinically powerful counseling methods to help meet the needs of most of those suffering from severe psychological disorders, all I find are a few anecdotal accounts of counselor-reported recoveries for a few individuals… To “get it right,” we do need to move from “integration” to biblical consistency, but we must also move from anecdote to evidence. The Biblical Counseling movement needs to squarely face up to its need to provide solid, empirical evidence of effectiveness and efficiency. Without a solid evidence-based, “best practices” approach, Biblical Counseling will continue to be seen by most Christian counselors in the country as primarily a theological-critique society, making some interesting and valuable points along the way, but without practical means for helping many of the suffering souls who come to us seeking help. Theological consistency and doctrinal purity is vital, but it is half the battle. The other half is showing that the recommended procedures really work for most people suffering with particular disorders. Well, what do you think? I’m not looking for anyone to trumpet the superiority of biblical counseling or trash it. In fact, I think biblical counseling has one of the best understandings of biblical anthropology out there. But, should it seek empirical evidence for its methods? While empiricism isn’t the only means of truth, it does tell us something. How would one test the effectiveness of biblical counseling? That all would depend on the outcomes sought–which raises a good question: Does biblical counseling seek to reduce anxiety and depression or sinful or immature responses to it? Is it primarily discipleship or is it counseling to reduce the experiences of what has been commonly known as mental illness? Good questions to mull over. As someone unfamiliar with specific biblical counseling theory as produced by associations like CCEF or biblical counseling programs, I am not sure what the specific goal is. I assume their line of thought is along the lines of restoring one’s relationship with God using the Bible to reduce symptoms because much symptomology is a result of sinfulness. Maybe they leave out the symptomology part, but who goes to counseling not to reduce symptoms? I think biblical counseling, following biblical anthropology, is concerned primarly with one’s spiritual health, which is associated with physical and mental health, but the counseling itself treats spiritual health as the aim of counseling. If that’s true, it’d be fairly straight forward to test. The biblical counseling folks would simply need to come up with tests that measured spiritual health. I think the difficulty of defining the aim of biblical counseling is that Jesus addressed spiritual and physical needs, and yet didn’t provide us with an exact formula for imitating him. Additionally, in the Bible sin seems to cause physical symptoms at times, and at other times the physical symptoms aren’t related to sin at all. Maybe the best way to test biblical counseling would be test how one’s internal image of God changed over the course of counseling, with effectiveness defined as one having an orthodox image of God? I am not sure the questions are posed in the right order or framed in the right manner. The answers for the first two questions are at least partially based on the answer to the last question. Perhaps we can rephrase the last question. Let’s ask, “Do secular counselors and Biblical counselors have the same goal?” They do not. The goals of secular counseling are pragmatic and hedonic: primarily restoring and improving function and lessening pain. The goal of Biblical counseling is reconciliation and sanctification: reestablishing the relationship with God, others and self and living in the presence and purpose of God. Success in the secular model has little or no effect of the Biblical model. Success in the Biblical model can (but not necessarily) have significant effect in the secular sphere. A fair comparative question might be phrased, “How effective is each ‘discipline’ in reaching its respective goals?” Few studies have been done concerning “effectiveness” or “success” of the secular model. Various reasons are cited for the lack of studies: control problems, the variety of models for testing, complexity, etc. Those studies that have been conducted lack significant evidence of consistent positive outcome and indeed are often significant at the placebo level or lower (goggle “clinical psychology effectiveness” or its derivatives). There is similarly a dearth of evidence concerning Biblical counseling effectiveness. At a recent Biblical counseling convention, I asked one of the speakers about statistical studies of effectiveness. He knew of none. I asked for an estimate of effectiveness from his own experience and he answered that he thought about 60% of the counselees attending his center were “helped”. I hope that that is true. Secular counselor would be ecstatic at that number. Numbering things and issues seems to be antithetical to Christians (unless they are counting the increased numbers on the roles at church). Perhaps it goes back to David’s numbering the Israelites (1Ch.21). But, given the goal of Biblical counseling what is the purpose of generating such “success” numbers. Is it so we can prove our superiority to secular models and methods? I hope not. Is it so we can evaluate different approaches and methods of counseling and statistically evaluate and use only the best methods? This persuasive answer has its dangers. Humans are intrinsically lazy. Give us a shortcut and we will probably take it. God has called us to get involved in working with the heart of the individual counselee. We must not let statistics substitute for the leading of the Holy Spirit. I am not saying that we should not study the issues; I am saying it must be done carefully and prayerfully and not just to satisfy our detractors. Louie, some good thoughts here. There have been numerous studies regarding the benefits of therapy. Unfortunately some have statistical power problems while others differentiate on what is actually used to determine success. Effectiveness from the provider’s point of view? The Clients? Data from more objective sources such as test/retest data? However, there is good evidence that (a) a trusting relationship helps people see reduction of symptoms and increased capacity in dealing with stress, and (b) some types of interventions are more effective than others. I agree with your caution about trusting in stats. And yet, laziness is endemic to all. Either those who already “know” their model works stop investigating better methods or those who put their trust in numbers look for shortcuts. Pride and self-determination appear to be the problem, not numbers per se. I’m less interested in making such stark differences between secular and christian models. As one who has been called to bring the cup of cold water and to teach others, my work is also hedonic in nature. I find it sad that because of the dangers of hedonism and comfort seeking, some believers avoid supporting interventions that really reduce suffering and increase functionality. Phil, thank you for your kind response. I have no problem with relieving suffering and and increasing functionally. Neither did Christ. However, I think we would agree these are secondary goals. There is not much question that drugs help the symptoms of depression, but they are not the cure. God gets our attention with symptoms, we must be careful of removing them too soon. I am an 83 grad from Biblical and have been watching the development of the counseling department with interest. Thank you for your service to the Lord. Hey, thanks for letting me know you are an alum. You must have been in one of the earlier graduating classes of counseling students, no? Again, glad to have made your “acquaintance.” Stop by and see us if you are in the area some time. No. I graduated before we had a counseling program in the Professor Grauley era. However, I was saved on the way to getting an undergraduate degree in clinical psychology, so this area of ministry has always been on my heart. I just finished my exams for NANC and am looking for AACC certification. I have been asked to start a counseling program for our church. We have a volunteer staff of four: one counseling grad from Christwell (trained), one converted psych grad from A&M (in training) one lay counselor taking courses at Southwestern Seminary (in-training)and myself . The Lord brought us together in this last year. We are the only trained Christian counselors in about a thirty mile radius. We would appreciate your prayers. I look at the issue like this: psychology is the best way we can understand the human mind through science. But it’s grounded in a fallen world. Which means that when we create norms for groups, those groups are not functioning as God intended them to. Original sin clouds everything. Christianity, on the other hand, offers us a view into how the world SHOULD work, although doesn’t. To me the interesting question is, “should Christian counseling improve depression, anxiety, etc…” I believe it should (unless the problem is biological, not just psychological). While we always will fall short of perfection, our lives should grow “brighter” as we move closer to God. That’s why hypocrisy is seen as such a horrible thing – because people aren’t living out a life of faith the way they say they will. Great quote, particularly for those of us without professional training yet in the church counseling office. It seems that guys like Ed Welch and Mike Emlet would agree as well. You think? Thanks for the post Phil. Keep it coming! I was thinking some more about this topic – cognitive – behavioral therapy is a pretty popular treatment route. Especially for things like anxiety and depression. Without making a full argument at the moment, it seems reasonable to believe faith works the same way. God slowly reveals to us a new way of thinking, and that (along with his grace) is what ultimately leads to our behavioral changes. If that’s true, we should see behavioral differences (in measurable ways) in someone who really has put their faith in God. I’m no psychologist by any means, but I have had a few experiences in dealing with people and have seen how a Christian perspective can really positively affect people. I have also seen how Love(God’s love through me or others) has benefited the person with the problem. I’ve also noticed how if the person sees the counsellor as a role model of sorts, that as the counsellee is exposed to the life of the afore mentioned, they are able to capture some very important life skills. I think Jesus example of this with His disciples is something to be noted. I have been reading some of the articles and appreciate the responses that are posted. Good people thinking good things. Thanks Phil. I came to this website through the google search engine looking for a comparative review of Christian Counseling(“Christian Psychology”) and Biblical Counseling. From what I have gathered thus far, it seems the former believes there is value in integrating medical and psychiatric principles and methodologies with scriptural principles in dealing with a counselee; whereas the latter believes in the sufficiency of the scriptures and the Holy Spirit. The question I have is this: in the days of the Lord Jesus Christ on earth, and the days of the apostles, how many of afflicted they encountered to heal through their ministrations did they use the nostrums of the day or were referred to the physicians of their days? I assume there were physicians then (Luke 8:43). If the afflicted of those days were referred to physicians why is the Bible silent on such matters; and if they were not referred to physicians what may be the reason behind this? Finally, how can empericism be reconciled with faith since the walk of faith cannot be submitted to empericism as such exploits of faith are sovereign providences which no mortal can command at will! The results of this type of therapy will be no more effective than secular therapy. I agree with the psychologist in the quotation. Having grown up in the church, I’ve seen all too often the bad habit of passing the buck. Usually it’s something like “If you were only more disciplined in your Christian life, you’d be more spiritual,” or “if you had a better understanding of the Bible, you’d ‘know’ (whatever it is you’re supposed to know),” or “if you’d just ‘rest in the Lord’ or ‘focus on Christ,’ or ‘listen to the Holy Spirit’ . . .” In my experience, people and their problems are usually FAR too quickly reduced to some spiritual failing on their part, and I see this as a potential pitfall for Nouthetic counselors. I have also never understood why the sciences of Psychology and Psychiatry weren’t embraced for the incredible amount of useful information that they offer. Yes, they are infused with an evolutionary bias and tend to minimize the spiritual aspects of a person’s psyche, but we don’t think twice about going to see a Neurologist! The Amygdala works the way the Amygdala works whether you’re a Christian or not! Discernment is the key. Yes, God has all the answers to life’s problems (seeing as how her made us peoples and all! ), but engineers don’t generally rely ONLY on Scripture for the information needed to build that bridge! Like it or not, verifiable credibility is valuable, and I don’t think it matters to which discipline one refers. If you’re going to sell a service, it better be effective, because if it’s not . . . how does that glorify God? Or do you just “deliver the truth,” and let the hearer determine the effectiveness of your delivery by his adoption or rejection of it? Sounds a bit like that “passing the buck” thing.